If you know a dad who loves golfing, treat them to Annabel Trends Golf Coasters. 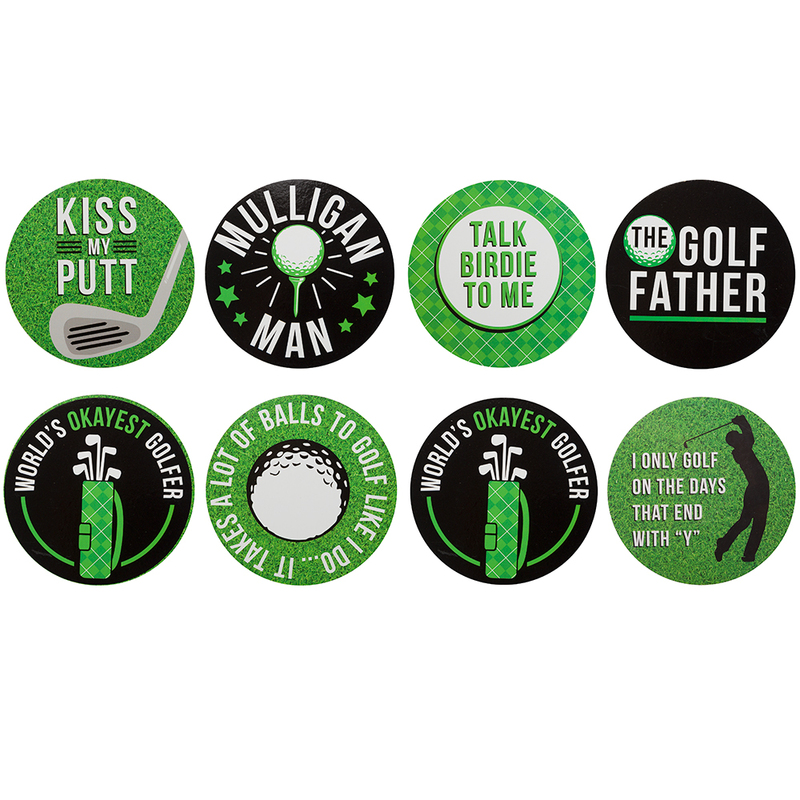 The Golf Father is a set of eight coasters, which will definitely score you a hole in one in the popularity stakes. 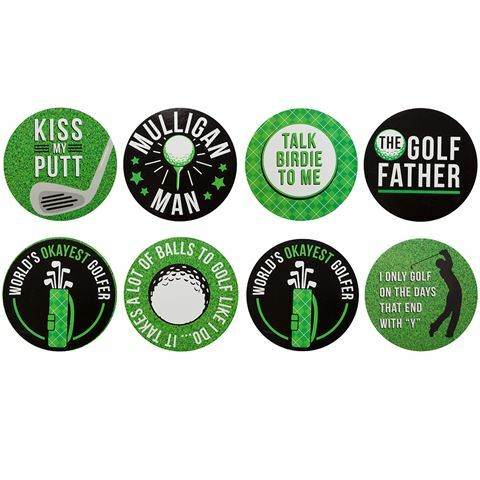 Round and cork backed, in a theme of green and black, each of these eight coasters comes with an amusing message including: I Only Golf On The Days That End With Y; World's Okeyest Golfer; It Takes A Lot Of Balls To Golf Like I Do; Tee'd Off and Kiss My Putt - to name just a few of them. The golf dad in your life will adore showing them off to his golfing pals and will be a step closer in turning your place into a club house. Then it will be your turn to be Tee'd Off. Eight coasters with amusing messages. Presented as a set of 8 in an Annabel Trends gift box. Dimensions: 10cm (l) x 10cm (w).